Business cards are cards displaying business information about a company or individual, typically including the company name or business (usually with a logo), individual’s name and contact information including street addresses, telephone number(s), fax number, e-mail addresses and company website. Typically a stationery set including letterhead, envelopes and business cards use the same typography and design. ProServe offers a number of stocks ranging in weight and finish. Below see a guideline to assist with choosing your paper stock. A heavy-weight card stock that is extremely durable. Perfect for vibrant color printing. Used for Business Cards, Posters and Postcards. A heavier weighted card stock that is extremely durable. 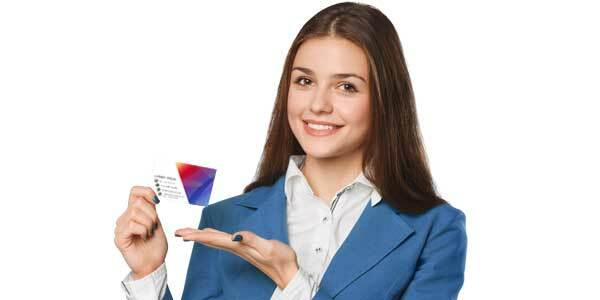 Perfect for vibrant color printing. Used for Business Cards, Posters and Postcards. Size – design your document at the size to be printed. This prevents stretching. Colour tones – we suggest that if your document is colour critical, you request a proof for pre-approval. Note that colour tones may vary from how view them on your monitor versus how they look when printed. Contact us today to request a quote or to learn more about our services.